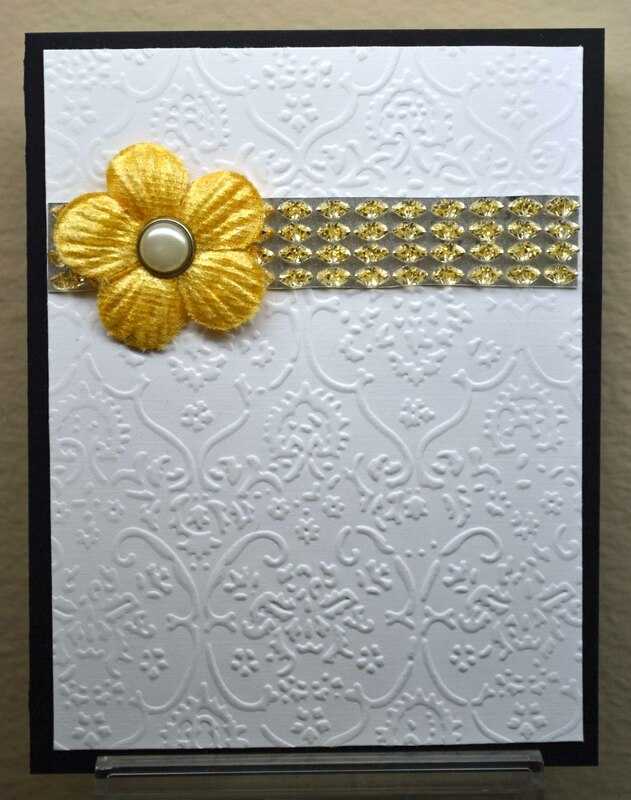 I ran a piece of white cardstock through my Cuttlebug Damask embossing folder then added a strip of Buckle Boutique’s gold bling and a flower (Imaginisce, Bazzill Basics collection), embellished with a pearl brad from K&Company. The rosette was made from a Tim Holtz/Sizzix die and affixed using Glue Arts’ 3D Raisens; the rainbow bling is also from the Buckle Boutique. 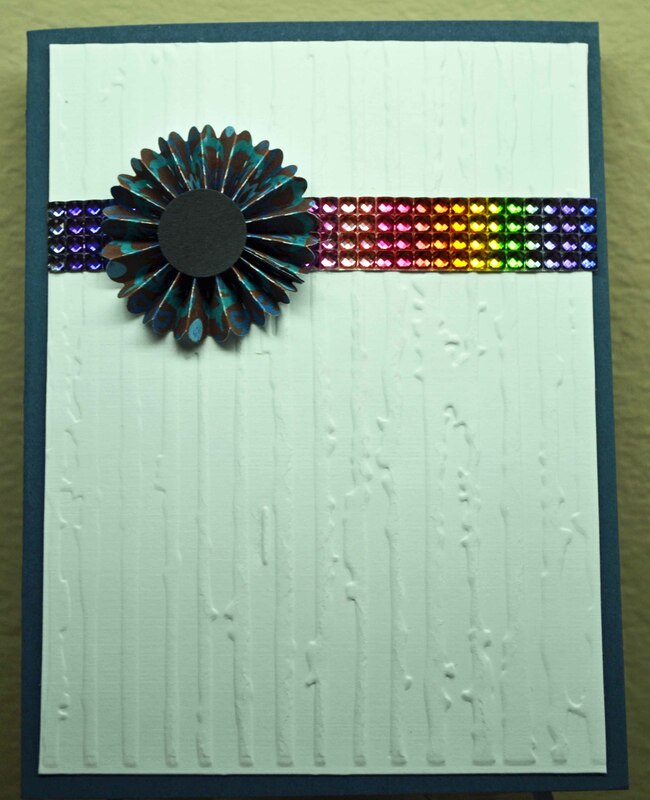 The embossing folder is a Cuttlebug folder. 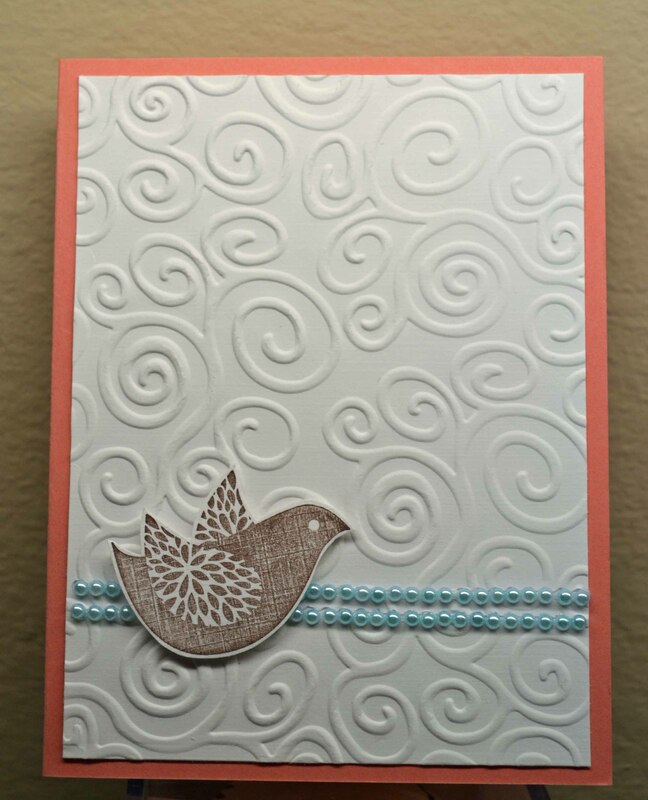 The cardstock is from Stampin’ Up! 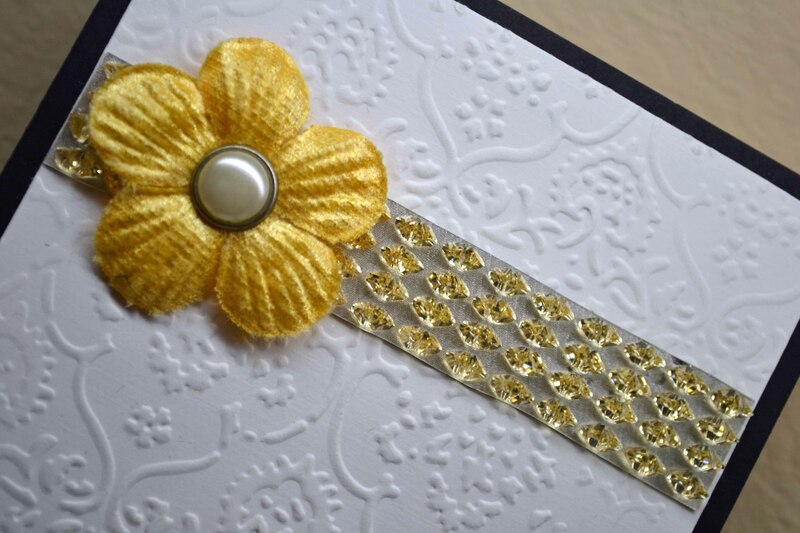 Embossing folder is Tim Holtz/Sizzix; Stampin’ Up cardstock and image; Eyelet Outlet strip of pearls. I really love the embossed card paper. Thanks so much, Constance! I’m really happy to stopped by!